Opening next wednesday night at Artstation in Ponsonby. Looking forward to it! "Project coordinator Talia Smith describes 'Fa’amanaia/to adorn' as organic and collaborative, with workshops enabling artists, writers and dancers to explore themes embedded in the exhibition." 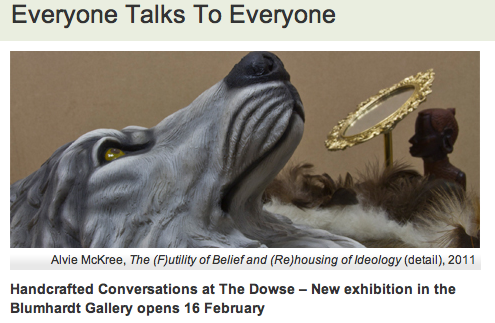 This site has become my blog/news feed of upcoming exhibitions etc. 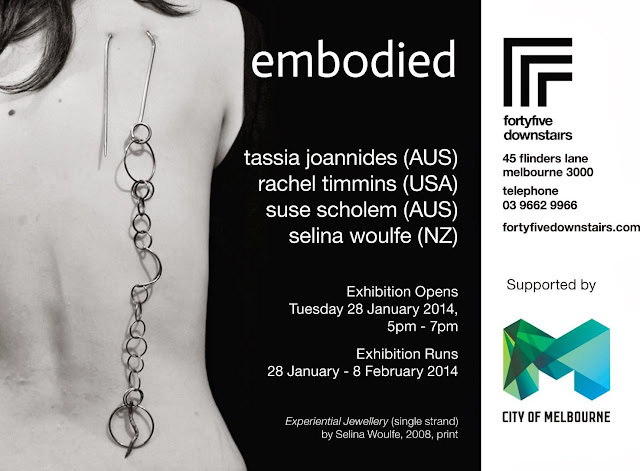 UPDATE: Embodied will now open in Melbourne, late January next year 2014. I will post promotional material for the exhibition as it becomes available. It's an exhibition I'm particularly excited to be a part of due to it's theme. I'll have two performance films along with photographs and jewellery objects on display. 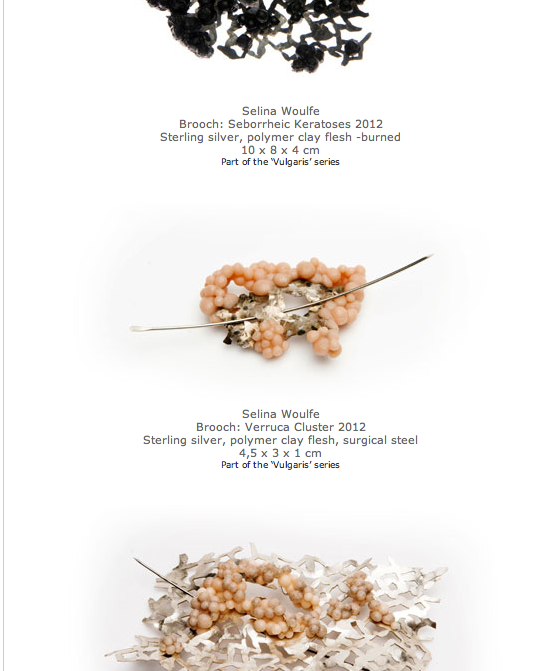 "Embodied features diverse work by four contemporary jewellers from Australia, New Zealand and America. 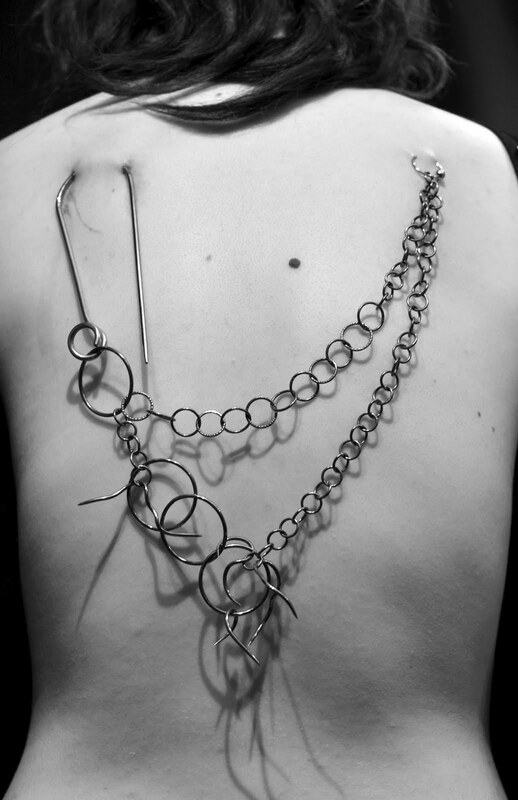 Tassia Joannides, Suse Scholem, Rachel Timmins and Selina Woulfe break conventions of wearability, incorporating performance; photography; ephemeral and interactive work as well as object making in their practices. 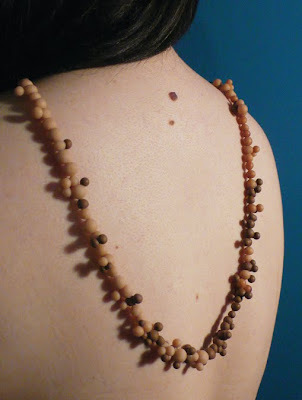 Embodied brings these artists together for the first time to engage unique dialogues on the body." I recently became a member of Klimt02. You can view my profile and also read my interview on the website. I'm thrilled to be a part of the exhibition 'Everyone Talks to Everyone', curated by the multi-talented Ane Tonga at The Dowse Art Museum in Wellington NZ. It opens from Feb 16th - June 9th. Ane is also giving a free Talk & Tour about the show on Sunday 17th, 3pm. 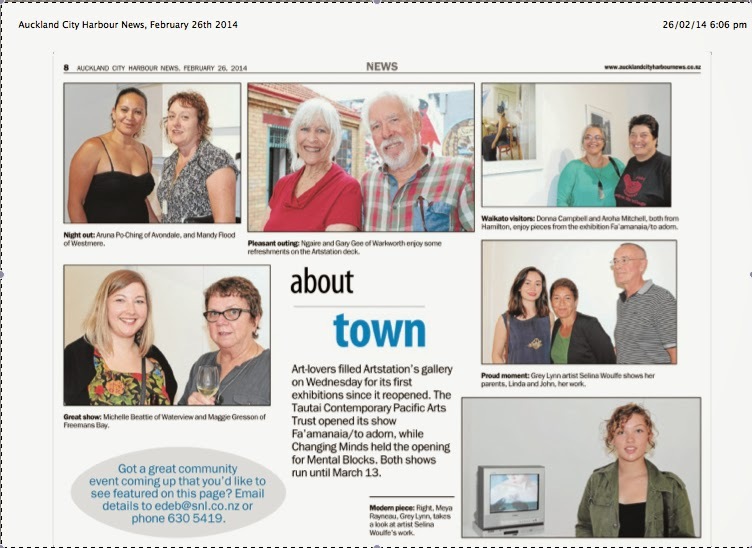 "Ten artists, 12 artworks, a blend of decorative and contemporary works, a fusion of cultures and perspectives – Everyone is talking to everyone at The Dowse in February with the debut exhibition by 2012 Blumhardt Curatorial Intern, Ane Tonga. In the upstairs Blumhardt Gallery, Tonga mixes it up, juxtaposing new technologies with contemporary objects to show that 'handcrafted' can apply to both digital and traditional artworks. Everyone Talks To Everyone features the work of both emerging and established artists, many with roots in Asia and Polynesia. The exhibition places contrasting artworks alongside one another, asking how, in the digital age, they relate to each other. So often loaded with memory and stories, how do we interpret these objects?" - Text from the media release. 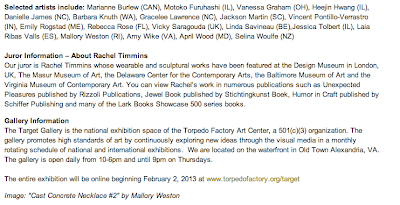 Excited to be exhibiting for the first time in the States...coming up next month, I have some work in 'Fabricated' at Target Gallery, Alexandria USA. Feb 2 - March 3. 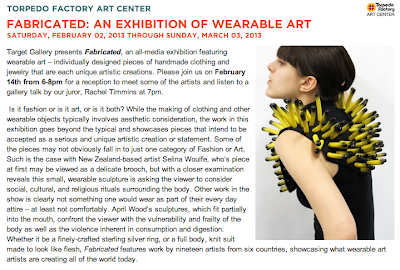 "Target Gallery presents Fabricated, an all-media exhibition featuring wearable art – individually designed pieces of handmade clothing and jewelry that are each unique artistic creations. 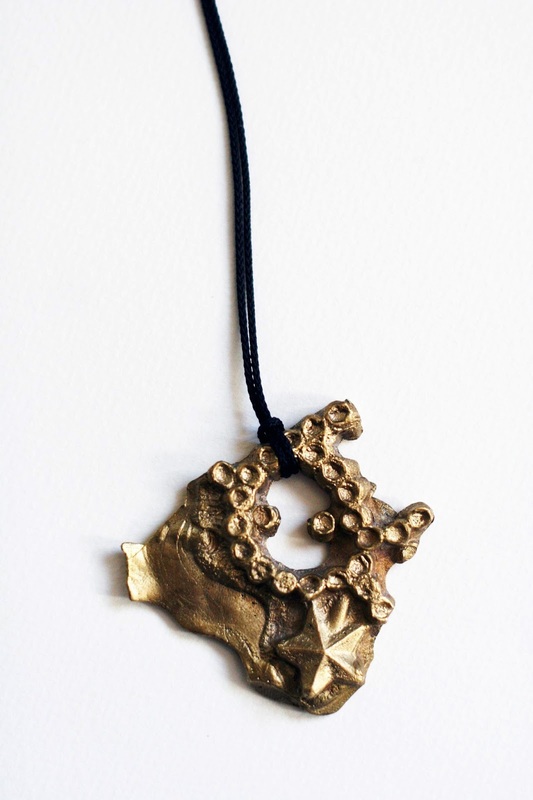 Juried by Rachel Timmins, the exhibition has work by nineteen artists from six countries, showcasing what wearable art artists are creating all over the world today." 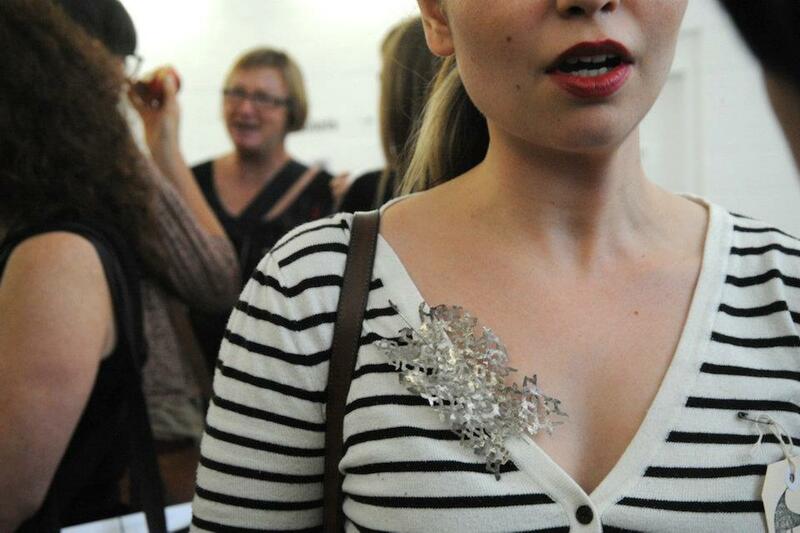 "Some of the pieces may not obviously fall in to just one category of Fashion or Art. Such is the case with New Zealand-based artist Selina Woulfe, who’s piece at first may be viewed as a delicate brooch, but with a closer examination reveals this small, wearable sculpture is asking the viewer to consider social, cultural, and religious rituals surrounding the body." 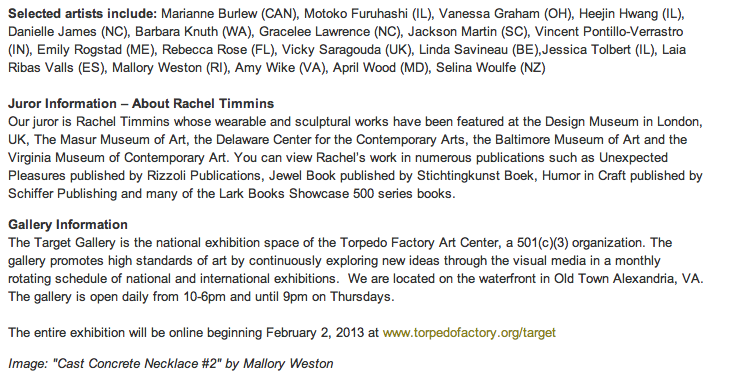 - text from the Target Gallery press release. Click the link below for more info. The exhibition will also be online from Feb 2nd. -Only wish I could be there to meet the other artists. 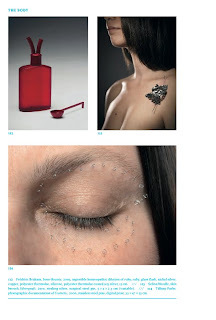 The above image of Mallory Weston's work is fantastic! Seborrheic Keratoses brooch 2012, sterling silver, polymer clay flesh(burned), surgical steel pin. Part of a new series. I pierced this to my own chest the other week...it's an odd experience, but the pain is fleeting which makes it bearable. 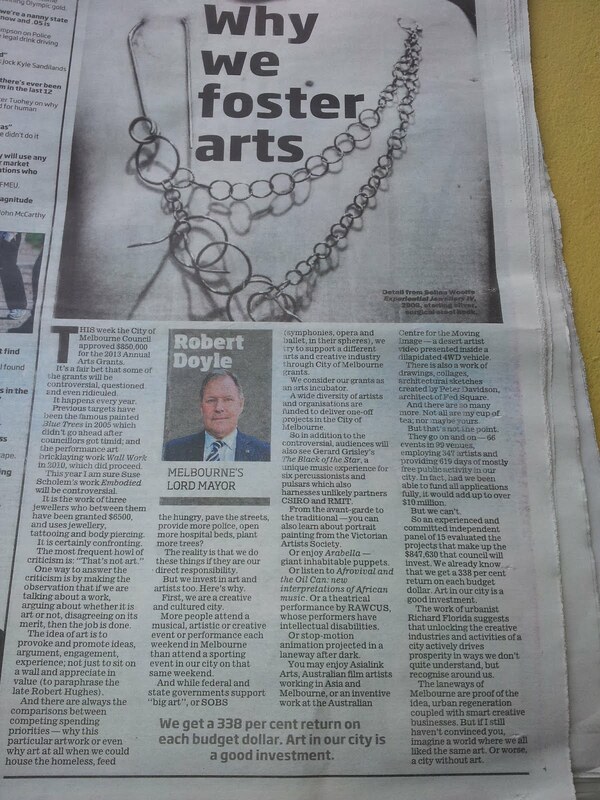 A cropped shot of some old work of mine was printed in Melbourne's Herald Sun in September(16.09.12). 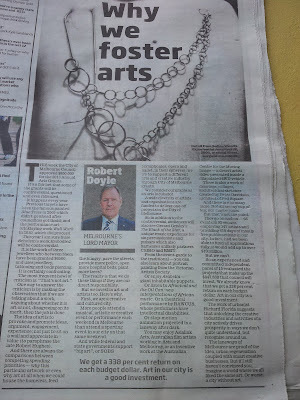 I think the point was to sensationalize the article...anyway it mentions an exhibition - Embodied, which I'll be taking part in next year with Suse Scholem & Tassia Joannides. Looking forward to it! A small glimpse at the series currently being developed, the working title is Untitled(flesh). a Silvergraft brooch at Jemposium in Wellington, NZ. 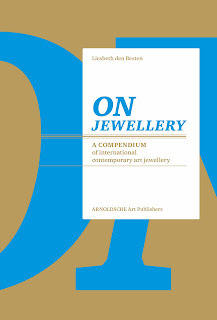 The international contemporary jewellery symposium was held over 10th-13th Feb 2012. It is now a week later and everything that was discussed, fought over and laughed about is still being processed! 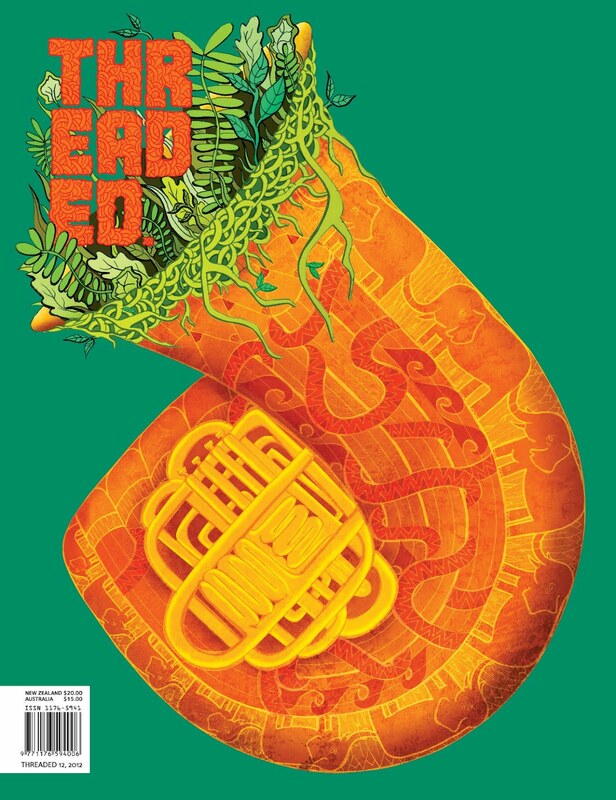 Very excited to be included in this! 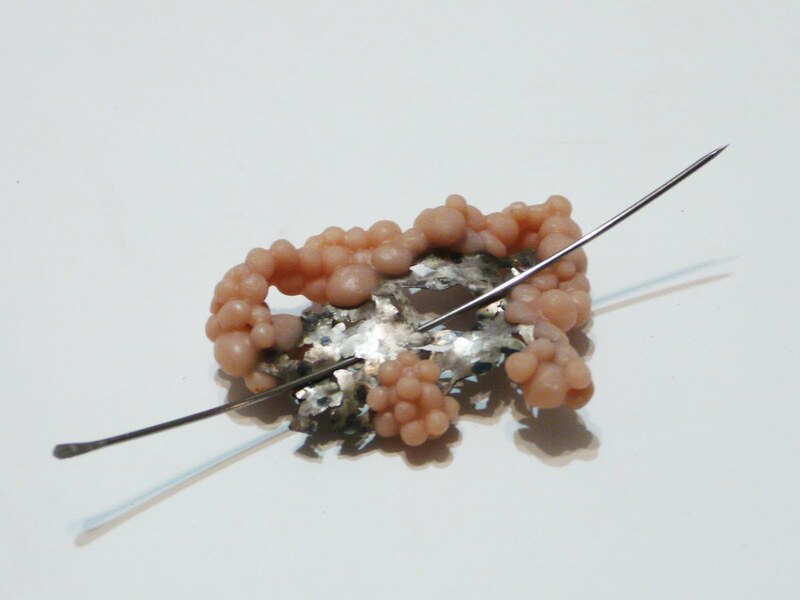 "Although the forms of Selina Woulfe's grafts are inspired by the mesh and fragile pattern of the human skin, the antagonism between body and decoration was never illustrated more effectively." 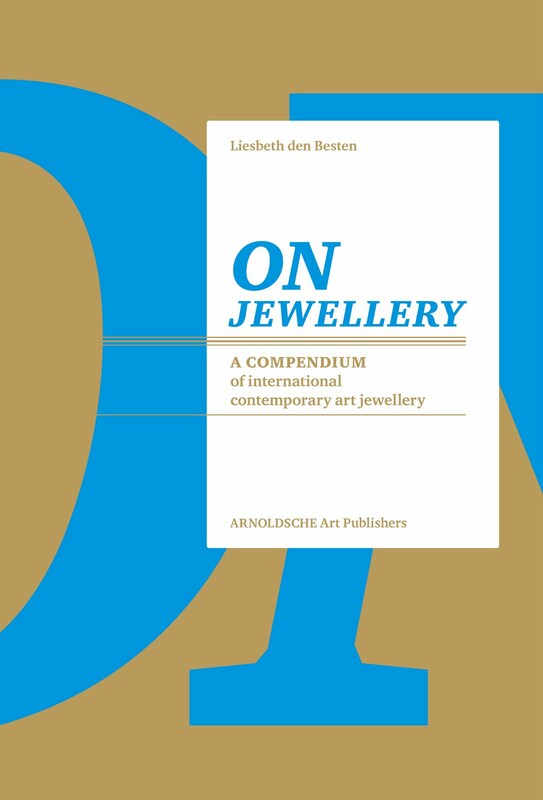 -Liesbeth den Besten, On Jewellery. Just sharing a study of a vintage baking tin using clay-maché and injection wax. Clay-maché impressions. Reminds me of fossils or dental impressions of an other-worldly creature. 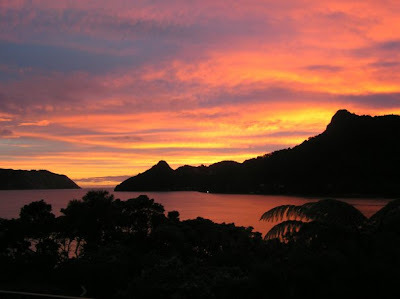 ...here's a picture of a beautiful evening in Huia. I'm very lucky to be from this (some-what) sleepy bay. "In the psychoanalytic theory of Jacques Lacan, objet petit a stands for the unattainable object of desire..the imaginary part-object, an element which is imagined as separable from the rest of the body...It is the object of desire which we seek in the other."